expRegion:: America, UN, east asia,mideast etc . 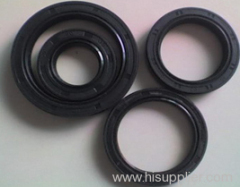 Oil Seals is rotary lip seal, it is use to prevent lubricating oil leakage.Oil seals are used to protect shafts and bearings from ingress of dirt and foreign matter and egress of oil or grease. An oil seal generally consists of an outer circular metal part and an inner flexible member that does the actual sealing and is bonded to the metal part by chemical adhesive agents. Weprovide free samples for parts in stock. Client pays for air freight for sampledelivery or provide freight account on collect. Sample can be sent outnext day upon request. Please send email forsample requirement. Stock in hand: Shipnext day after receipt of payment. For urgent order, wecan make it faster. Please send email to negotiate. Wework with the most professional forwarders in the world and we share our largeshipping discounts with all our customers. Other terms like MONEYGRAM, L/C, D/P, D/A, O/A can be negotiated. 1. As a directmanufacturer and also a trading company, we are able to have the best resourcesintegrated in China and offer our clients qualified parts at the mostcompetitive price. 2. Quality Assurance:100% QC inspection before delivery; ISO9001:2008, and SGS certified; Full refundor replacement for quality faulty; 90 days quality warranty for ALLproducts. 3. Excellent customerservice, responded within 24 hours. 4. Fast delivery: we havelarge amount of stock ready to ship the next day after order, and for bulkproduction, we can work on urgent order and deliver in time. 5. We provide OEM serviceand can make custom parts according to clients' prints or sample pieces. 6. With 10 year'sexporting experience, we've worked with customers worldwide (NORTH AMERICA 80%,EUROPE/11%, Oceania/5%, RUSSIA/2%, South Korea/1%, Japan/1%). 7. Monthly productioncapacity over 200,000pcs, one of the three largest in our field in China. 8. Cheapest Shipping: theprice we enjoyed is the cheapest in Shanghai, "84% off from FedEx" and "80% offfrom DHL". 9. One-Stop service: wecan take care of everything from production, shipping, import clearance, door delivery until your order is right there in your hands. 2.Client sends 30% deposit (or other terms agreed) after receiving TISUN SEALS 'sProforma Invoice. 3.Client approves our production sample, and get the testing report ifneeded. 4.tISUN SEALS arranges shipment and provides necessary documents and send copy ofthese documents. 6.TISUN SEALS sends original documents or telex release the goods. 7.Client receives order and gives feedback on quality, service, andsuggestion. 8.Quality warranty for 90 days after shipment.